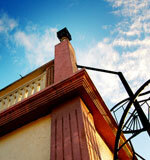 Your time should be spent healing. 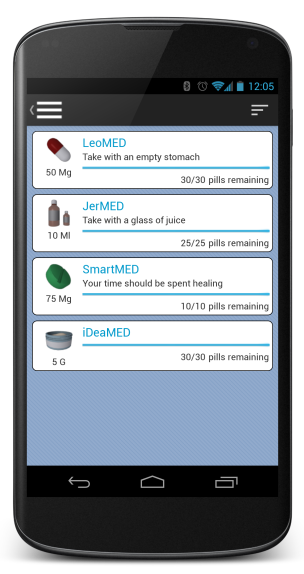 SmartMED is an award-winning concept that allows users to easily and proficiently manage their medication. 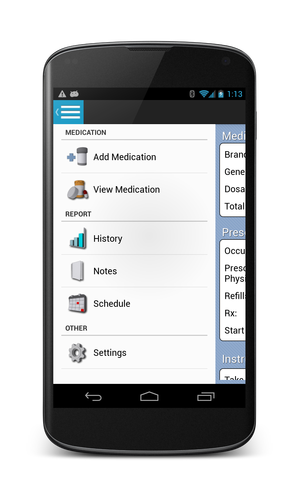 The application automates the tedious process of managing a prescription regime. 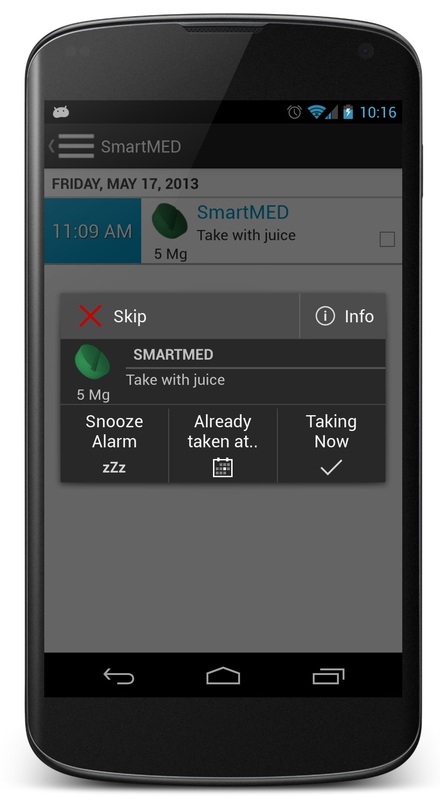 SmartMED will alert you at the right time, every time, when to take your medication. 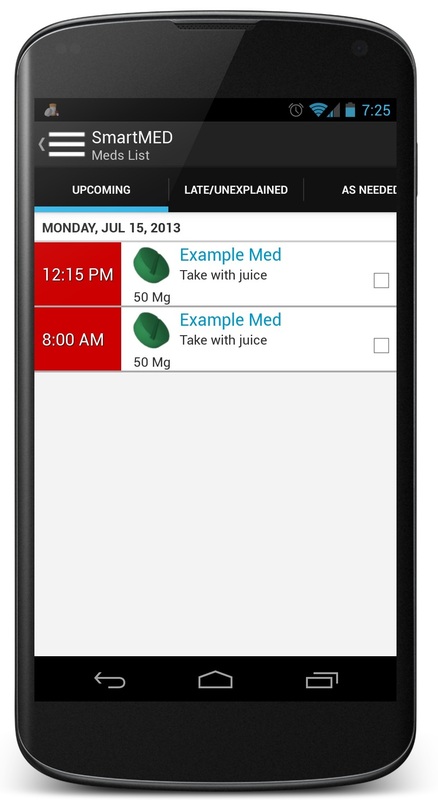 By using the application, you'll have an accurate record of your medication adherence history. 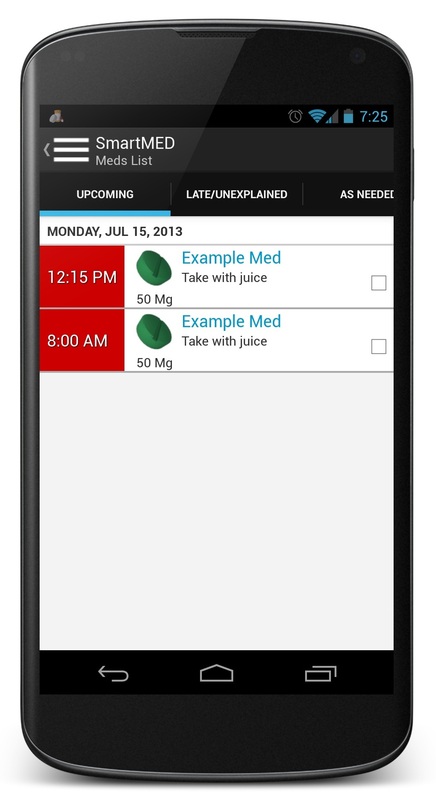 SmartMED looks to utilizes mobile technology to help individuals better manage their medications. 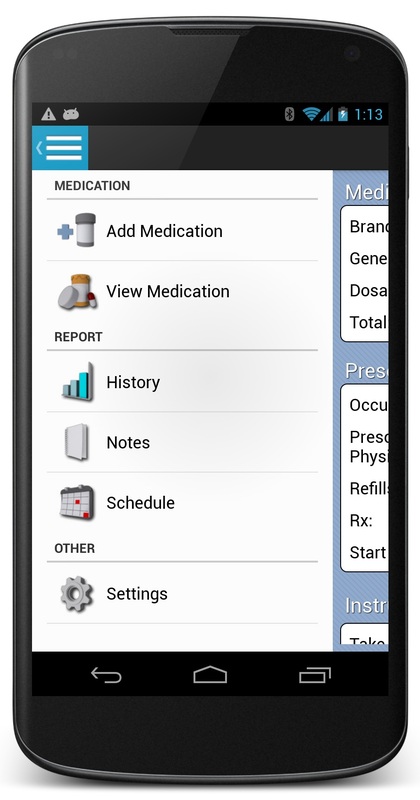 The technology allows the ability to capture medication adherence/compliance with accuracy, allowing the user to reflect on the information for patterns or even share with loved ones or healthcare professionals for further analysis. 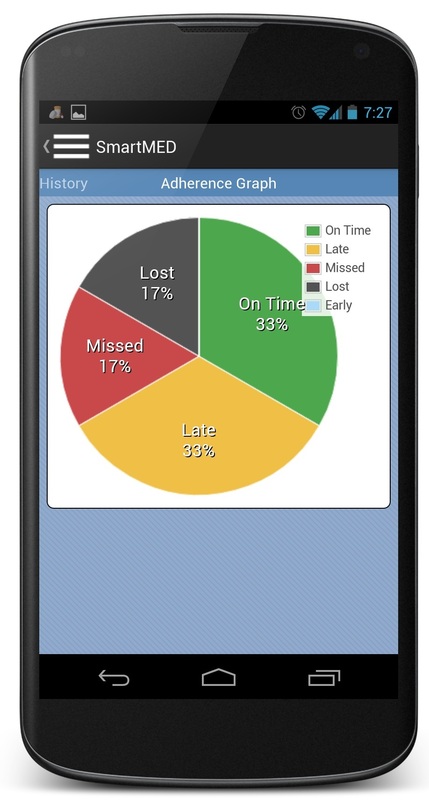 The web portal gives users the ability to share their adherence data with family members or healthcare professionals giving them peace of mind and ability to give soft interventions if needed. 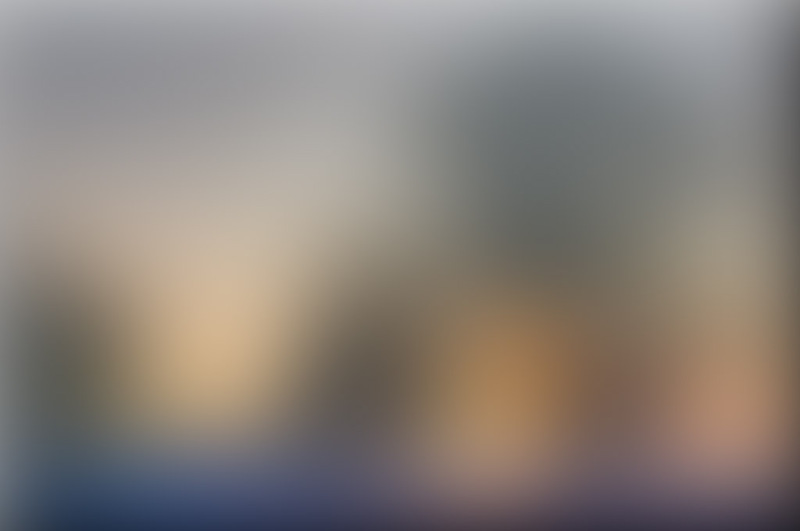 Healthcare professionals can organize groups of individuals which can be set up to alert them after a threshold of non-adherence occurs. 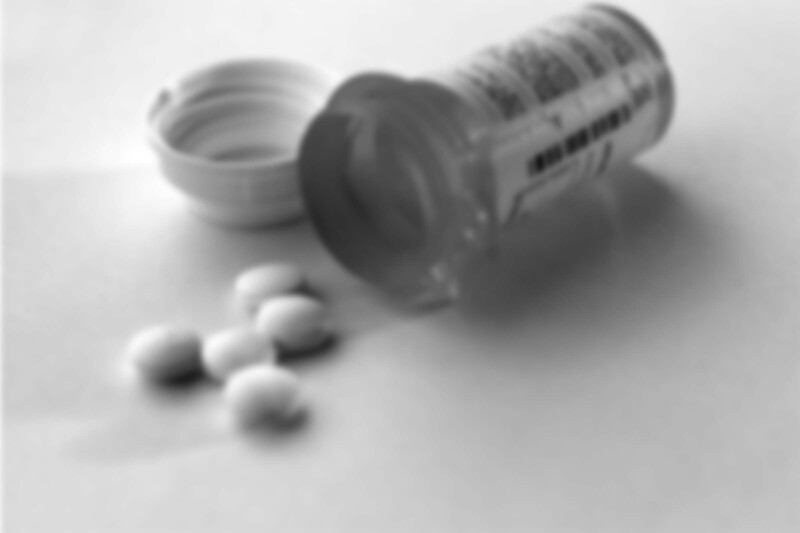 This gives healthcare professionals the ability to intervene before adverse drug events occur or undesired results develop. 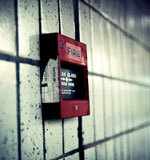 SmartMED is an Imaginauts CORP product.